When we arrived at the first location for Funsho and Michael’s engagement shoot, I could already sense the strong chemistry between them. It was a pretty cold day in Providence, Rhode island but we didn’t feel the cold because of the passion and excitement of this couple. Michael was all over Funsho; couldn’t take his eyes off her and anytime I told him to be playful, he took this task very seriously and became overly playful. Michael wanted photos in the snow so badly that we had to schedule another session when it was snowing. 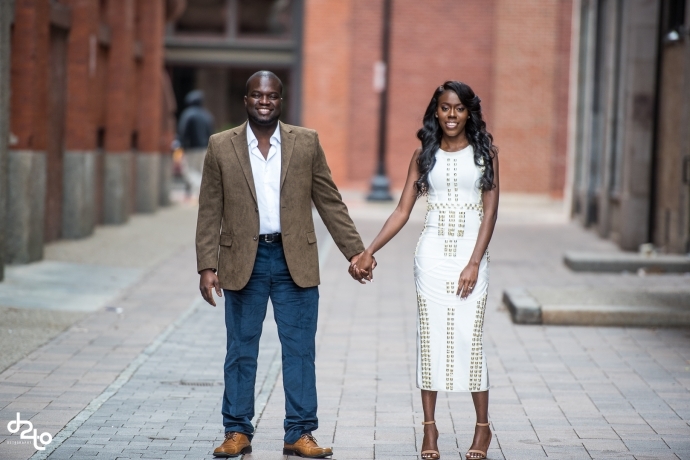 I really enjoyed every bit of my session with Funsho and Michael and cannot wait to document their wedding later in the year.